Last night, I attended the annual Twin Cities Zombie Pub Crawl and had an absolute blast. It was so much fun sitting in bars with other zombie patrons, seeing zombie entertainment and zombie dancers. My friend remarked that this must be what it's like to live in Halloweentown (Disney flashback, anyone?). There were so many people participating that the people not dressed as the living dead and covered in blood where the ones who looked out of place! I really wish that this sort of thing could happen more often. 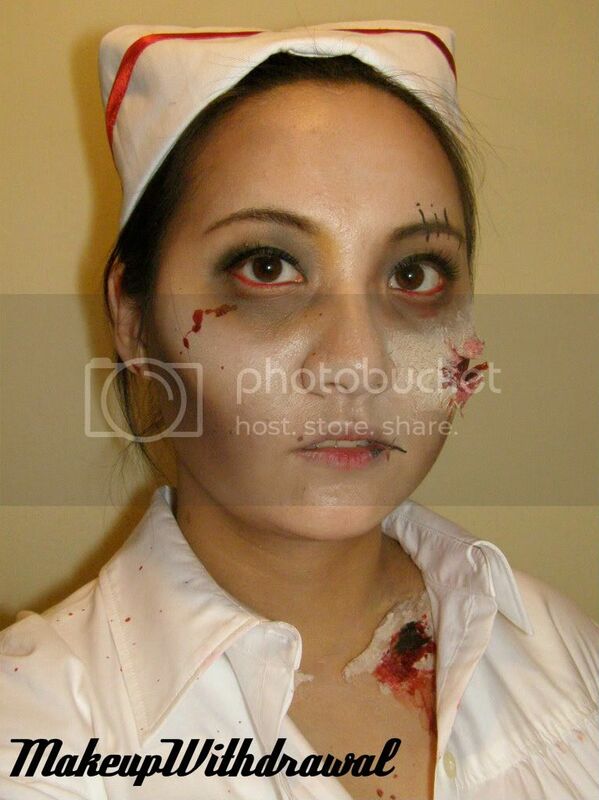 As you can see, I went as a zombie nurse. I forgot to take a picture with my red cross eye-patch, which I regret. Makeup took about 2 hours. The cheek wound actually looks like it blends in, but the flash on my camera makes it appear fake, unfortunately. Face: NYX Highlighting liquid, Ben Nye Conceal All Wheel, LORAC Smokin shadow, the darkest purple matte shade from Wet'n'Wild Lust palette, Urban Decay Deslick in a Tube, BECCA Fine Loose Powder in Sesame. 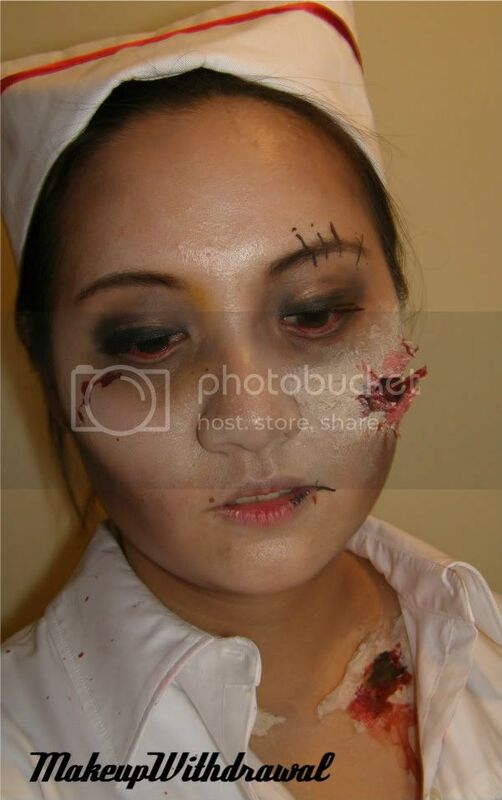 Has anyone else done any zombie makeup before? I'd love to see!